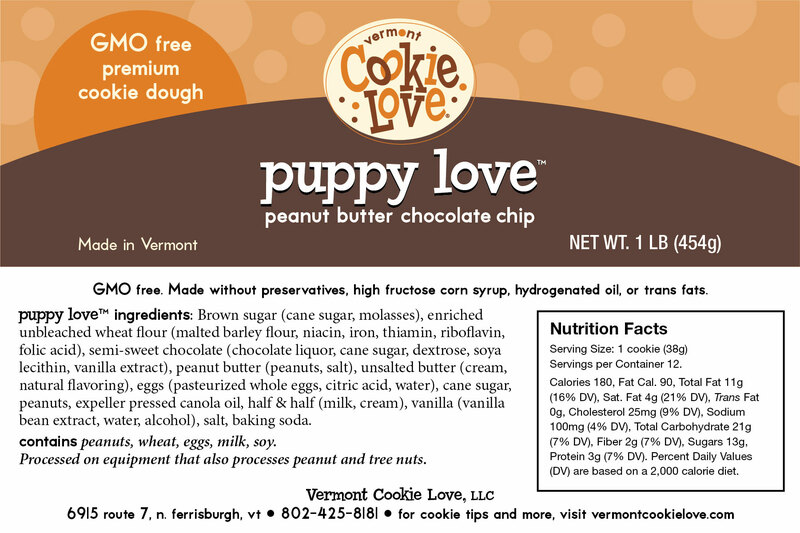 Vermont Cookie Love offers fresh-baked cookies that we ship the same day they come out of the oven. 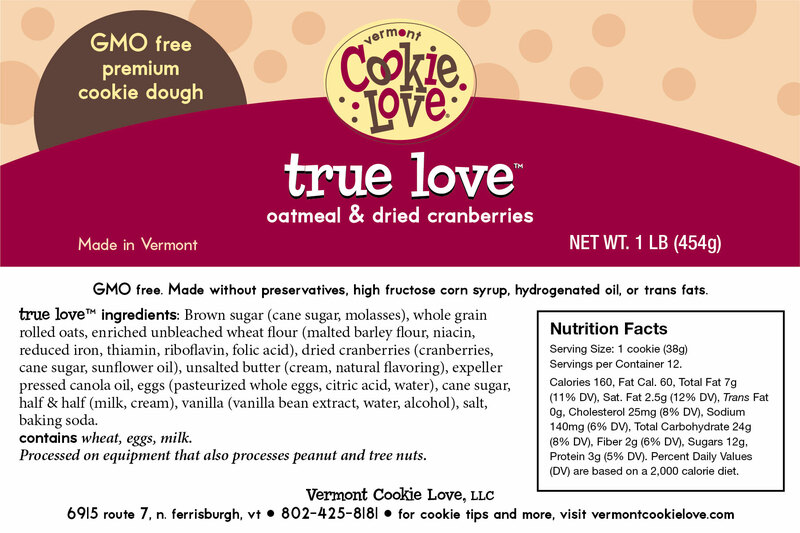 Or if you want the optimum hot-out-of-the-oven experience, you can buy Cookie Love® frozen cookie dough and bake the cookies yourself. Our cookie dough is all natural and GMO-free, with no artificial colors, flavors, or preservatives, and it's so delicious! We source local ingredients, we use no hydrogenated or partially hydrogenated oils, and cookies baked from our dough contain 0 grams trans fat. Read what some of our customers have to say about our cookies and dough. What Local ingredients do you use? Where can I buy your cookies? Do you make gluten-free products? Are there nuts in your cookies?